For years, Founder Linda Frakes created events and temporary stores for companies like Sunglass Hut, The HoneyBaked Ham Co., Brookstone, Things Remembered, and more! Now she channels her expertise into creative solutions that "BRING WELLNESS TO LIFE," directly to where people work & live! Our mission is to create, plan & execute customized WELLNESS events that educate, involve, and influence. We will educate your stakeholders in all aspects of a healthy lifestyle. Our events will be well-attended, interactive, and fun. We will work with you to insure the best attendance for your event. We collaborate with only the best health and wellness service providers to bring you the most up-to-date and engaging products and services. Our events will promote general wellness for all. Health Fairs Onsite has been creatING customized health and wellness events for corporations across the u.s. since 2008! 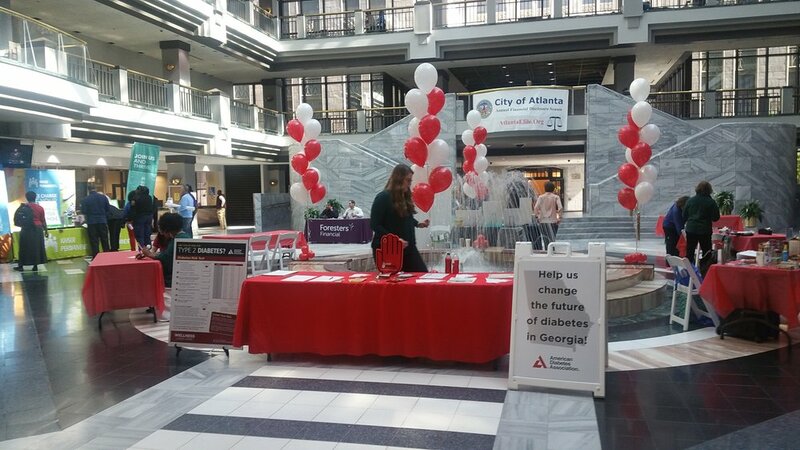 Health Fairs Onsite creates pop-up health and wellness events to help large employers meet their health and wellness goals without the stress and complexity of managing wellness fairs themselves. Whether a company has an existing wellness initiative or are just beginning and need to know how, Health Fairs Onsite is the perfect partner to "bring the wellness discussion alive" in your company! We create a wide variety of events....from health fairs & monthly wellness events to employee appreciation days...even food truck events, farmers markets & outdoor festivals! Take a look at some of our history!